Welcome to Yet Another Tech Show, everyone. 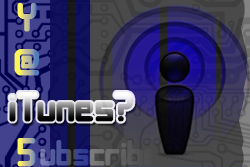 This is the weekly podcast to check out if you want some informative, yet entertaining tech discussions. We love technology and can geek out with the best of them, but we also have fun with it. Thank you for checking us out. My name is Ant Pruitt. Our panel includes producer Mat Lee, Larry Press and Mike Rothman. Richard Hay of Google joins us this week as a guest. Be sure to check out all of our social media connections by clicking on our names here in the show notes. Social media is fun and we enjoy interacting with our listeners. Here are the show notes for this week’s episode. Welcome to Yet Another Tech Show episode 49. Thank you to all of you for coming in and listening to our how. This is the technology podcast where not only will you get great tech discussions, but you will definitely get entertaining tech discussions. Our panel includes producer Mat Lee, Mike Rothman, Larry Press and myself. They call me Ant Pruitt. This week we are also joined by two great guests. 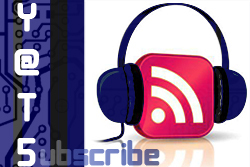 Listener, Eric Schimelpfenig of Sketch This joins us and Richard Hay of aNewDomain and Google joins us as well. Many thanks to them for joining us. Be sure to check out their profiles hyperlinked in their names. Ok, let’s get into our show.